Meek's colleagues react to his release from prison. 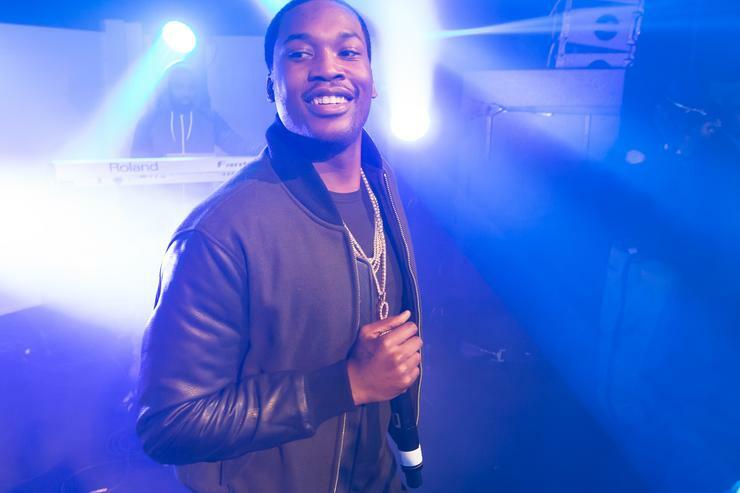 Meek Mill's trial has been a whirlwind to follow as twists and turns happened on nearly a daily basis. With corruption, potential biases and updates coming left and right, Meek was finally freed today. Many of his fellow rappers have been supporting him throughout the hard times through prison visits or a simple Instagram shout out. As his Philadelphia 76ers near the second round of the NBA playoffs, there is no better time for Meek to be released as he may get to enjoy a game or two during his newfound freedom. Many were quick to react to the news of Meek being released, with Kevin Hart being one of the first to post his congratulatory message. T.I., Trey Songz, and G Herbo followed suit, posting their own updates, ecstatic that the Philadelphia rapper had been released from jail. Tip's note was one of the sweetest so far, writing, "They made you a political prisoner to silence you... you stood tall and stayed SOLID!!! They can’t stop you now lil bro!!!! It’s almost OVER!!!" Meek's release feels somewhat surreal after all of the complications that had arisen during the trial. While the rapper kept his spirits high throughout everything, he can finally enjoy his freedom and, hopefully, make a new "First Day Out" banger.
" I’d like to thank God, my family, my friends, my attorneys, my team at Roc Nation including Jay Z, Desiree Perez, my good friend Michael Rubin, my fans, The Pennsylvania Supreme Court and all my public advocates for their love, support and encouragement during this difficult time. While the past five months have been a nightmare, the prayers, visits, calls, letters and rallies have helped me stay positive. To the Philadelphia District Attorney’s office, I’m grateful for your commitment to justice – not only for my case, but for others that have been wrongfully jailed due to police misconduct. Although I’m blessed to have the resources to fight this unjust situation, I understand that many people of color across the country don’t have that luxury and I plan to use my platform to shine a light on those issues. In the meantime, I plan to work closely with my legal team to overturn this unwarranted conviction and look forward to reuniting with my family and resuming my music career."